Dubin Fellows are entering master's degree students at Harvard Kennedy School who have demonstrated strong character, academic excellence, the ability to thrive and lead in the face of adversity, and a commitment to making a transformative impact on the communities they serve. Step 2: Apply for the Fellowship: Application deadline for the Dubin Fellowship is Monday, February 4, 2019 at 11:59 p.m. EST. To apply for the Dubin Fellowship please visit the Student Financial Services web site. Finalists for the Dubin Fellowship will be interviewed in February, 2019 by members of the Dubin Fellowship Selection Committee. Dubin Fellows are awarded a scholarship up to full tuition and health fees for up to two years, depending on the length of their graduate degree program. Fellows are eligible for a stipend up to $5000 to support unpaid summer internships or professional development. Successful applicants will demonstrate their potential as emerging leaders by evidencing strong character, excellent academic credentials, a commitment to pursue a career with transformative impact on society, and the ability to thrive and lead in the face of adversity. Dubin Fellows will participate in a robust cocurricular program offered by the Center for Public Leadership. This fellowship is open to students entering their first year of study in any of the Harvard Kennedy School's master's degree programs. Leadership Discussion Series: During these sessions, fellows engage one another as well as eminent practitioners and local and national leaders on topics of service and leadership. 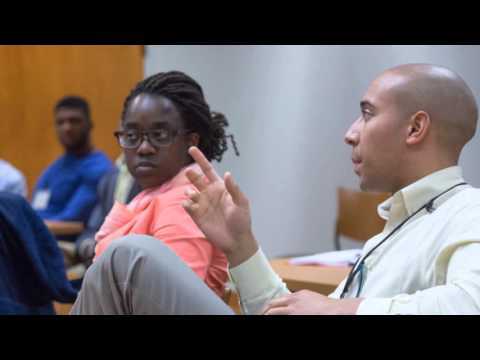 Connection with CPL and Dubin Fellows Network: Fellows engage with these other emerging leaders as they begin their careers through opportunities like roundtable discussions, mentoring experiences with fellowship alumni, leadership skills workshops, and networking events. Award decisions will be primarily merit-based but with a consideration of financial need as determined by the HKS Student Financial Services. Two-year degree program students will receive funding for both academic years, as well as support for unpaid summer internships, contingent upon the successful completion of year one. Active participation in the cocurricular program is a requirement of all fellows for the duration of their award. This opportunity is open to domestic and international students entering any of Harvard Kennedy School's master's degree programs. Glenn Dubin co-founded Highbridge Capital Management LLC, an alternative asset management company in 1992. During his tenure as CEO, Highbridge evolved from a multi-strategy hedge fund into a diversified alternative asset management institution with over $35 billion of capital under management. Highbridge was acquired by JP Morgan Asset Management in 2009, and Mr. Dubin remained at the helm to oversee the transition – a transition considered by many to be an example of a model succession. In 2013, Mr. Dubin resigned as Chairman and CEO of Highbridge to focus on Dubin & Co., a private investment company based in New York. Dubin & Co.’s two primary operating businesses are Castleton Commodities International LLC (CCI) and Engineers Gate LP (Engineers Gate). CCI, formerly Louis Dreyfus Highbridge Energy, is a global merchant energy company active in the physical and financial commodity markets and infrastructure investing and ranks as one of the world’s leading independent energy merchants. Engineers Gate is a proprietary quantitative trading company committed to building a next generation operating and technology platform for systematic trading strategies across global liquid markets. The Company is comprised of 88 employees including 23 PhDs. Mr. Dubin is the lead shareholder and Non-Executive Chairman of both CCI and Engineers Gate. Mr. Dubin is a founder, Board member and former Board chair of the Robin Hood Foundation. Mr. Dubin is also a Board member of Mount Sinai Medical Center, a Board member of the Museum of Modern Art, and a member of the Dean’s Executive Committee of the Harvard Kennedy School. Mr. Dubin graduated from the State University of New York at Stony Brook with a BA in Economics. Glenn Dubin is the founder and principal of Dubin & Co., a private investment company based in New York. Mr. Dubin co-founded Highbridge Capital Management LLC, an alternative asset management company in 1992. During his tenure as CEO, Highbridge evolved from a multi-strategy hedge fund into a diversified alternative asset management institution with over $35 billion of capital under management. In 2009, Highbridge was acquired by JP Morgan Asset Management, and Mr. Dubin remained at the helm to oversee the transition – a transition considered by many to be an example of a model succession. In 2013, Mr. Dubin resigned as Chairman and CEO of Highbridge to focus on Dubin & Co. and the founding of Engineers Gate LP, a proprietary quantitative trading company. Engineers Gate, comprised of 77 employees including 26 PhDs, has committed itself to building a next generation operating and technology platform for systematic trading strategies across global liquid markets. In 2012, Mr. Dubin, along with a prominent group of investors, acquired Castleton Commodities International LLC (formerly Louis Dreyfus Highbridge Energy), a global merchant energy company active in the physical and financial commodity markets and infrastructure investing. In 2015, CCI acquired Morgan Stanley’s Global Oil Merchanting business, and the combined company now ranks as one of the world’s leading independent energy merchants. Mr. Dubin is the lead shareholder and Non-Executive Chairman of the company. Mr. Dubin is a founder, Board member and former Board chair of the Robin Hood Foundation, a philanthropic organization in New York that applies investment principles to charitable giving. Since its founding in 1988, Robin Hood has raised and invested over $2.5 billion in the most effective poverty-fighting programs in New York City. Mr. Dubin is also a Board member of Mount Sinai Medical Center and the Museum of Modern Art and is a member of the Dean’s Executive Committee of the Harvard Kennedy School. Mr. Dubin graduated from the State University of New York at Stony Brook with a BA in Economics.